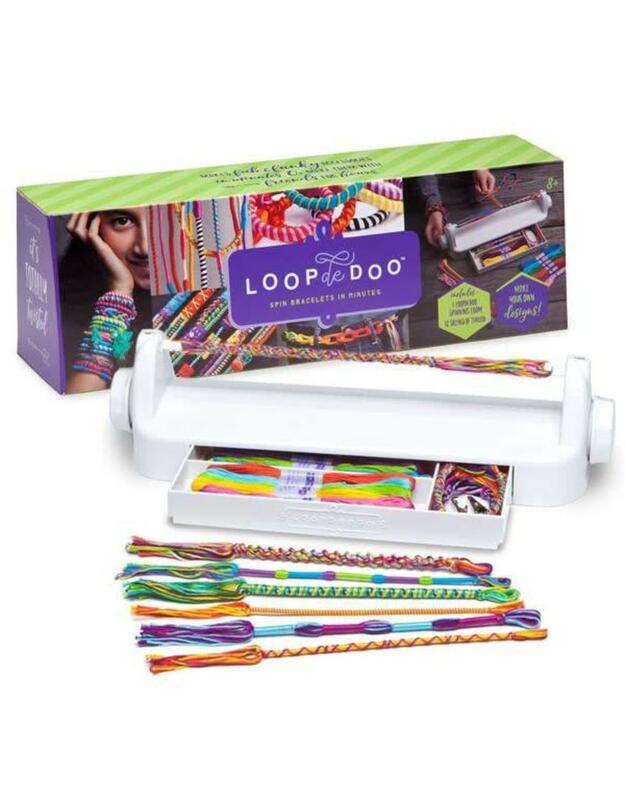 AW Loopdedoo - Spinning Loom - Crochet Stores Inc.
Loopdedoo is a new kind of crafting tool that’s put a modern twist on friendship bracelets. 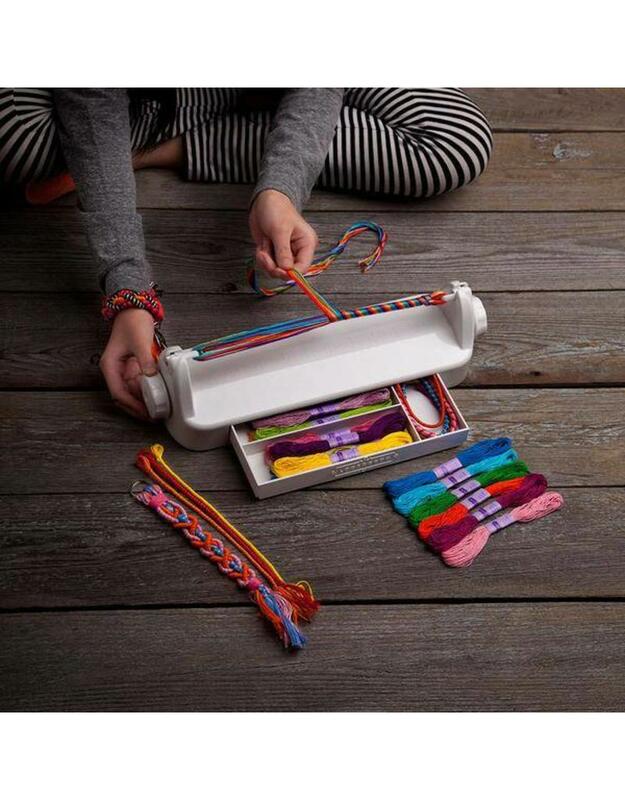 It’s a fun and easy way to make bracelets in minutes. There are no patterns to follow and the design possibilities are endless so it encourages creativity. You can also make necklaces, belts and more. 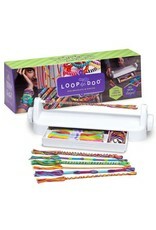 Make fab and funky twisted bracelets in minutes. Or make them with friends for hours. • The perfect gift for tweens and teens. 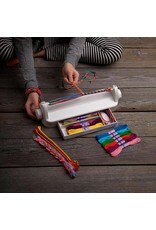 • Comes with 1 Loopdedoo spinning tool (complete with push-out drawer for storing your gear), 18 different colored skeins of embroidery floss and detailed instructions.